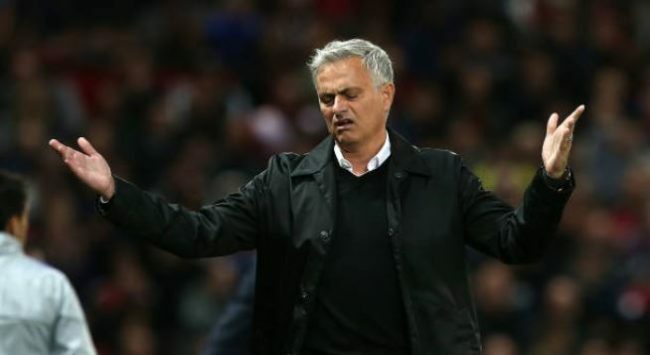 Manchester United have already stumbled more than once in the Premier League this season, and ahead of England’s clash with Spain at Wembley at the weekend, Red Devils boss Jose Mourinho suffered an embarrassing fall of his own. Traversing a rope on his way into the Club Wembley entrance, the 55-year-old Mourinho tripped and fell to the ground in a number of stages. That’s surely one of the first times Mourinho has suffered a slip-up at Wembley? Things can only get better for poor old Jose, eh! And he was helped up by someone with a here to help jacket. You cant make these things up!